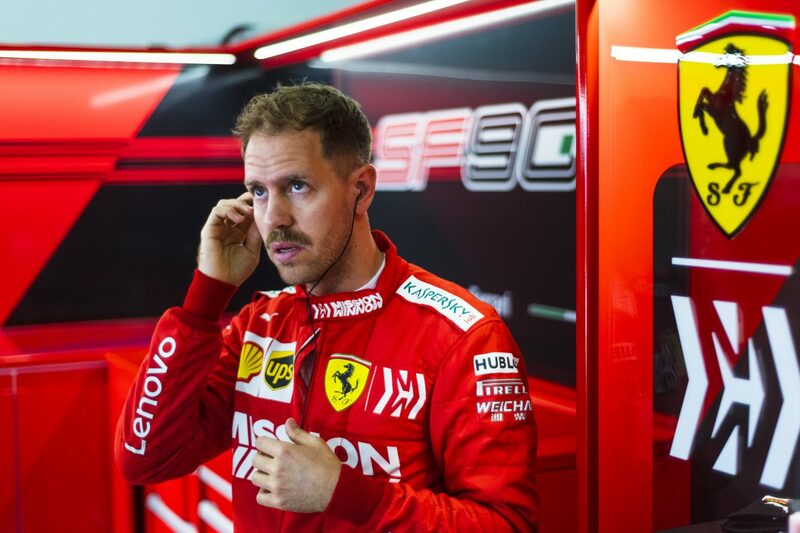 Ferrari’s Sebastian Vettel is unsure whether his team could have stopped Mercedes in China as they took their third straight one-two finish of the year. Sebastian Vettel crossed the line in third position in Shanghai, 13.744 seconds behind race winner Lewis Hamilton. The German explained the difficulty in keeping up with the Silver Arrows throughout the 56-lap race. “Well, I’m happy to be on the podium, but (it was) tough,” Vettel said. “We tried to stick with Mercedes, but we just couldn’t, they were too quick right from the start. Vettel was overtaken by team-mate Charles Leclerc, who started alongside him in fourth position. The duo swapped positions under team orders on Lap 11 in a bid to catch the runaway Mercedes drivers, but Vettel admitted he struggled to find a tempo from then on in his SF90. “It was a bit difficult for me to find a rhythm,” he added. “I had a couple of wobbles where I locked up and lost the advantage I gained, but I think it’s fair if you see the whole race, we just weren’t able to stick with Mercedes. “Mercedes was very, very strong – similar to Australia. I’m not sure we could have stopped them this weekend. Formula 1 moves onto Azerbaijan in a fortnight to tackle the Baku City Street Circuit on April 26-28.